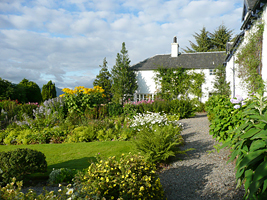 In a wonderful situation on a hillside in peaceful Glen Lonan, just 14 miles from Oban on the West coast of Scotland, Barguillean Farm is a charming and spacious, traditional, whitewashed country house with beautiful landscaped gardens to the front and supurb views of Ben Cruachan, Glen Etive and the mountains beyond. 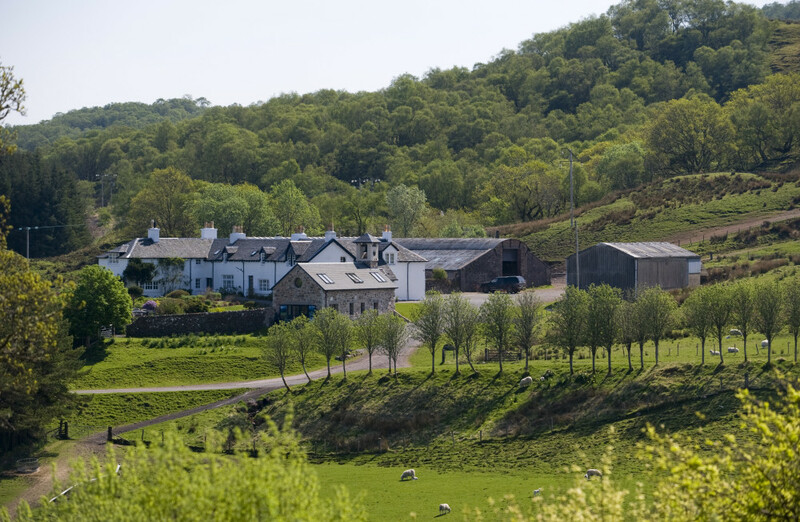 Barguillean Farm is a 4,000 acre working hill farm situated three miles from the popular village of Taynuilt, Argyll. The original part of the farmhouse (now Josephine's Wing) was built some 200-300 years ago. 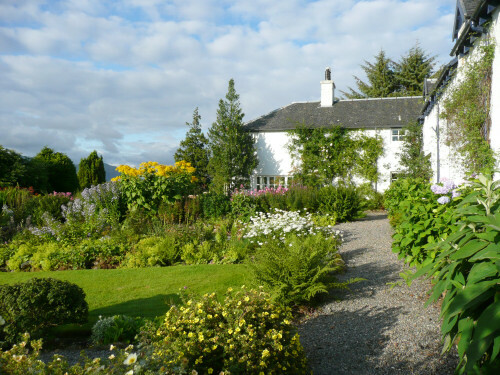 This is now the self-catering holiday cottage, ideally situated amidst beautiful scenery. The self-catering cottage is light and roomy and has been carefully modernised to provide all modern comforts, as well as old farmhouse charm. With the neat gravelled farmyard to the rear, and lovely landscaped gardens (with garden furniture) to the front, it is an ideal base for a family holiday. 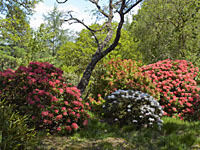 Against the background of Loch Angus and surrounded by native woodland you will find Angus's Garden, created in 1957 as a memorial and slowly developed to retain the informal atmosphere of the landscape. 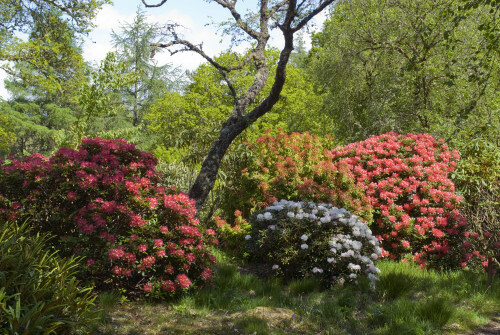 Many visitors have reflected on the quiet meditative feel of Angus's Garden. It has a special spiritual quality, and those who visit are often drawn back many times.